Joyces of Wexford is run by brothers Derek and Murt Joyce and are celebrating 75 years in business this year. Joyces has an impressive 16,000 sq ft premises with an extensive display of top brand names in appliances, television, audio, computers and household goods including Apple, Bosch, Belling, Berghoff, DeLonghi, Dyson, Fischer & Paykel, Hannspree, Kenwood, Miele, Neff, Nordmende, Rangemaster, Samsung, Siemens, Sony, Smeg, Panasonic, Philips and Whirlpool. In 1944 Murt Joyce Snr opened a Hardware Warehouse at 7 North Main Street in Wexford Town. He had previously been employed at Sinnott’s Hardware where Penny’s is now located. In the 40’s trading was challenging and Murt Joyce regularly cycled to Dublin to source products and often recounted how all signposts had been removed from the roadsides during the World War II. With dedication and hard work, the business developed over the next 20 years and expanded considerably. With rural electrification, opportunities arose in the electrical appliances and television market. Joyces became a household name in County Wexford and promoted strong product associations with brands such as Hoover, AGA and Calor Gas. With expanded product lines, a move to a larger premises took place in the early 60’s at 1 South Main Street. A China and Gift Store followed and a second appliance store was opened at Custom House Quay. A dedicated Hardware Store opened in the 90’s at Anne Street. With the continued growth of the business, Derek and Murt made the decision to relocate the electrical departments to a purpose built retail unit in Clonard. 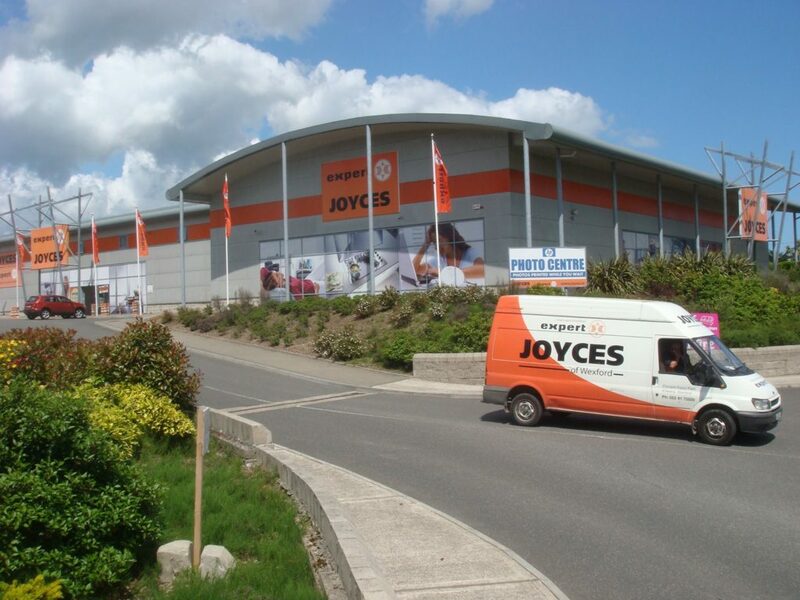 Joyces are a member of Expert Ireland, Expert are Ireland’s largest electrical retailer with 60 stores nationwide. Expert members are independent retailers who through Expert are able to combine purchasing, marketing, and general market information. Their goal is to deal with market leading brands and offer our customers the best value for money. Expert are present in 22 countries worldwide and have 7,400 stores. All of this results in our Irish operation being able to avail of the best pricing from the best brands which we can pass on to the customers.